Unfortunately, this advertiser is no longer active. This delightful coastal village is a popular holiday destination for those who wish to experience Walberswick's unspoilt dunes, its beach and its charm. Within Walberswick there are tea rooms, restaurants, two public houses, an art gallery, village shop, original crafts and gift shops. Fresh fish can be bought from the harbour huts on the Southwold side of the River Blyth, which may be crossed by pedestrians and cyclists either by the bailey bridge or the foot ferry that runs during the summer months. Click here for some at–a–glance useful information. 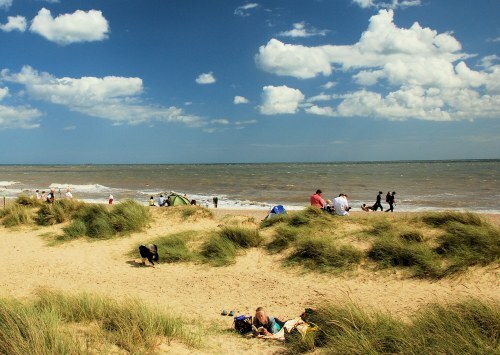 A wide variety of flora and fauna makes Walberswick popular with ramblers and visitors alike. A major attraction for children in summer is crabbing by the harbour, where bridges and river banks become crammed with buckets, lines – and foul smelling bait! From 1980 to 2010 Walberswick annually hosted the British Open Crabbing Championship. Over the years this annual family event has raised useful funds for various charities and good causes, both local and national, while participants enjoyed the delights of this simple outdoor pleasure. The name Walberswick is believed to derive from the Saxon Waldbert or Walhbert – probably a landowner - and "wyc", meaning shelter or harbour. From medieval times through to the Twentieth Century the village was a thriving port trading in cheese, bacon, corn, timber and, of course, fish. Since the Victorian era many artists have come to Walberswick, notably including Charles Rennie Mackintosh and Philip Wilson Steer. This inspiration for artists continues up to the present day. St. Andrews Church is at the top of the village, the size of the ruins within which it stands demonstrating how wealthy and large the Parish once was. In fact this was the village’s third church built at the end of the 15th Century. Once prosperous, the church lost its tithes, became decayed and had to be partly dismantled to provide for repairs and restoration to the south aisle. Over a thousand acres of heath and marshland around Walberswick are protected as an Area of Outstanding National Beauty (AONB). The seaside town of Southwold is within strolling distance along one of the many beautiful walks in and around Walberswick. 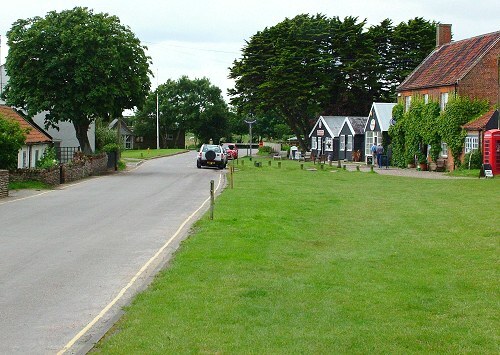 Walberswick is a very beautiful village but the very factors that make it so popular with tourists, and indeed its inhabitants, have meant that – recently – management schemes have had to be put in place so that the village and its wonderful environs may be preserved for this and future generations. To know more about the Parish Plan go to http://walberswick.onesuffolk.net/parish-plan/ .